This lotion recipe is the best lotion I have ever put on my skin. Super soft and not at all greasy. Watch a video tutorial to see how easy it is to make. 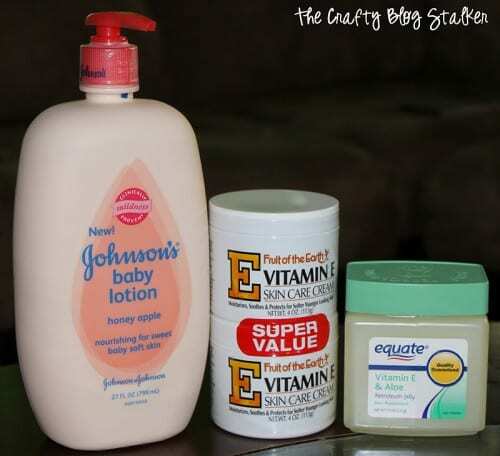 It has been over three years since I originally posted the Recipe for The Best Homemade Lotion EVER! I can’t believe how popular this post has been, and I still continue to get comments and questions about my favorite lotion. I even made a different version, a Coconut Oil Lotion for those who don’t like Petroleum Jelly. Sadly, I don’t have another version, but I did create a fun video that I would love for you to share if you have been a fan of this lotion recipe. If you want more written instruction on the Best Lotion Ever please click on the Coconut Oil Lotion Recipe or the original Best Homemade Lotion EVER!! Recipe. These lotions sound wonderful! With shorts season coming soon, I need these more than ever! Thanks for linking it up to Dishing It! & Digging It! I think you will love the lotion, Jennifer! If you try it, I would love to know what you think. I love how easy this is to put together! Love diy beauty recipes. Thanks for sharing at Merry Monday this week! Thanks Marie, This is my favorite lotion recipe and use it daily.